The first accession of photos was donated from Frank Absher/St. Louis Media History Foundation between 1987– July 2013. The second accession was from Verna Smith on June 24, 1991 and consisted 3 photos of St. Louis radio personalities taken by Peter Ferman Photographers: Ed Wilson; Harry Fender with Milton Ferman (2). The eighth and ninth accessions were donated by Frank Absher/St. Louis Media History Foundation on April 11, 2014 and May 1, 2014, respectively. Fourteen photos of personalities from KSD, WIL, or KMOX were donated by Howard DeMere on the behalf Marty Bronson. Date of donation unknown. Two photos of KXOK personalites were donated by Robert Lynn on November 5, 2001. Another accession (MA uu:124) came as a donation from KMOX radio sometime in the 1990s. Fourteen of 15 photos donated were placed in this collection as one photo was not a KMOX radio personality but instead belonged in the St. Louis Publication Photograph Collection. Another accession (MA 02:19) of Ed Wilson with a KSD microphone came as a donation from Jane Wilson Hutchins on September 3, 2002. Conservation notes: All items placed into acid-free folders. Some items housed in mylar sleeves. Metal fasteners removed. Scope and Content: The radio photos are part of the Media Archives Collection that was created in 1987. Acquisitions for the St. Louis Radio Photograph Collection are still ongoing. 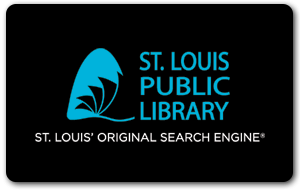 The collection aims to serve researchers of St. Louis media with photographs of St. Louis area radio personalities, announcers, and staff. Arrangement: The collection is first arranged alphabetically by station, and then alphabetically by photo descriptor. Restrictions: Most photos under copyright. Permission required to reproduce images. Marty Bronson Photo Collection (MA uu:116; J. Gosebrink Accession #Ge-426) has been split in order to keep radio photographs as a discrete collection and the TV photographs as another discrete collection. Collection reviewed and all photocopies were identified and removed from collection in February and March of 2016 by archivist. Finding Aid marked accordingly with “[removed 2/2016] and [removed 3/2016]’. List of deaccessioned photocopies located in collection folder. 8 Hollingers; 2.8 cu. ft.
1/12 Joni James record promotion in St. Louis, 195-? 2/70 WEW-FM, control board [removed 2/2016]. 2/71 WGNU personalities (5): Richard “Onion” Horton (3), Daniel T.
Personalities, etc. 4 (9). Ge-387a-I (Dan Devine, Arthur Godfrey, Marty Marion, Stan Musial, Al Onofrio, Red Schoendienst, S.
4/26 Bunny, Uncle Dee, and Bobby, 1931. Country Journal Entertainers, Lester “Lullaby” Mayberrie, Eddie “Catfish” Gentry, Stuffy Austin, Brother Bob Hastings, Wade Ray. 5/60 Mike Shannon (12) w/Wayne Hagin, Jack Buck, Joe Buck, Whitey Herzog. 5/62 The Singercrafters. Gay [Gary] Lee, Buddy, Zeb, and Otto Harold Bolande.